at Green Modern Kits' Prefab House Kits. Green Modern Kits will be in The Wall Street Journal's Smart Money Magazine in February, and we will send out that article when it becomes available. Reflecting on the interview, it gave me an opportunity to define what makes us different from the rest of the prefab industry: our focus on passive solar, affordable modern prefab house kits that you can then finish according to your own style and budget. The Virginia Prefab Green Home had an Open House in September and was a hit! Despite days of cold, driving rain, about fifty people drove under a sunless sky from as far as Maryland and North Carolina to visit the net zero prefab house. David Day, LEED AP, came down from his green building practice in Charlottesville to speak, along with the contractor, Ron Bernaldo. We were all impressed with the depth and amount of questions from the attendees and look forward to our next prefab open house... coming up in April! Attendees were able to see for themselves how, even without systems installed, the net zero passive solar green home is built to function- it was noticeably warmer inside the prefab vs. the icy rain outside; we even had to open windows. Green Modern Kits has begun work on a new prefab green home in Colorado, and we are beginning several new projects which I will discuss further in the new year, so keep your eyes peeled on the Recent Projects page. Our partner, Rainwater Management Solutions, is providing filtration for a 1 million gallon rainwater harvesting system at The Gates Foundation headquarters! 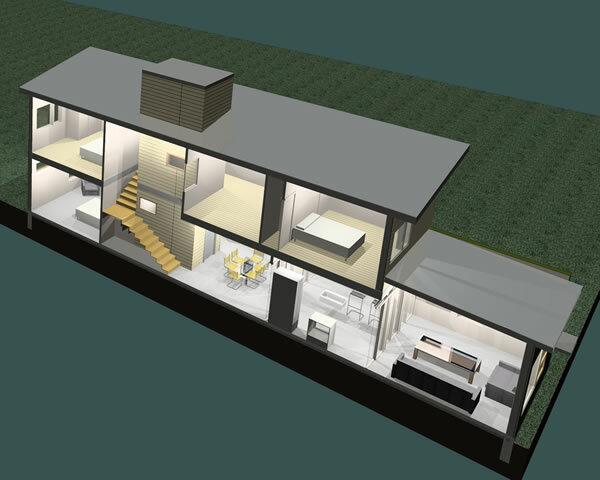 Imagine what they could do for your prefab house kit! Grace Street's sister company, 3north, was honored at the AIA's gala at the Center for Virginia Architecture in November, http://bit.ly/2GEYbt. You may recall Grace Street designed our two story prefab green home, The R1 Residential. 3north is also planning a new urban zone with hotels, a spa, and restaurants in Louisiana... all around a vibrant town square. We have some important updates for you regarding more systems partners, to make your prefab house kit more easily net zero and off grid if you like. In approved states, it will reduce the size of your septic field, and enable your waste water systems process to be much more environmentally friendly. Coming soon. Still curious about the next Virginia Prefab Open House? I will add more details later, but can tell you it will be the weekend of April 10th, to coincide with Appomattox History Weekend.